This event has taken us 5.5 years in the making and has been a long but enjoyable process. Hempcrete is an amazing building product and our company is focused on making it a truly commercially viable and accessible product for everybody to use. Whether commercial, industrial, retail or domestic, buildings built with hempcrete are comfortable, efficient and healthy buildings. 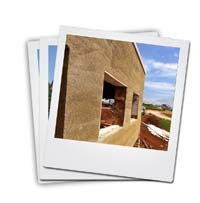 Here at Hempcrete Pty Ltd, we have focused our attention on the construction process and we are developing technologies aimed at simplicity, ease, speed and reliability. We are the Australasian suppliers of INSULIME (Batichanvre®) and INSULCORE from EIO. This provides us with reliable verifiable technical data with over 20 years of experience and knowledge behind it rather than reinventing the wheel ourselves regarding the hempcrete binder. We also supply hemp shiv for the purposes of making hempcrete. In addition, Hempcrete is also in a position to carry out the installation process as well and will work closely with your designers and builders to ensure the experience of the hempcrete process is as straight forward as the current building materials available in the market. 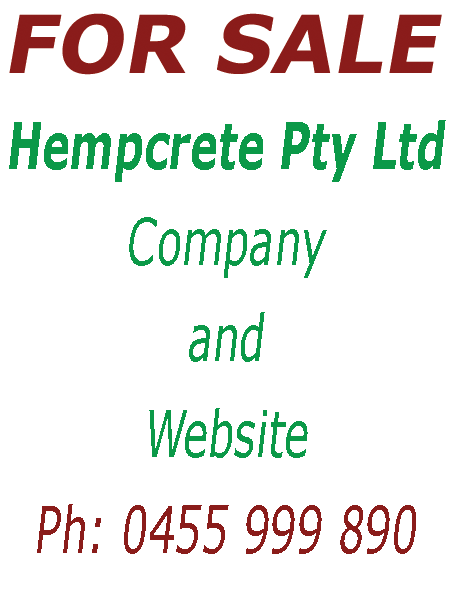 Hempcrete Pty Ltd is committed to the advancement of the Hemp industry here in Australia but it is hempcrete that we are focused on. We leave the hemp production to the experts whilst tackling the job of being hempcrete technologists.